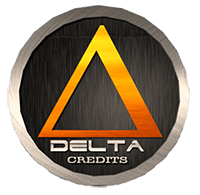 DeltaCredits uses the symbol "DCRE" and runs without the need of a central bank or single administration. The digital asset uses the proof of stake (pos) consensus, but is not mineable. This means to get DCRE, you can go via a cryptocoin exchange service. We don't have any exchanges listed for DeltaCredits yet, check back soon! We don't have any wallets listed for DeltaCredits yet, check back soon! We don't have any debit cards listed for DeltaCredits (DCRE) yet, check back soon!